Ceramic Wood Burning Stove - The Best Wood Stove Choice? Ceramic wood burning stoves are made of ceramic tiling or fired clay material, often being coated with ceramic or porcelain and other like components. The ones in the past, and most of them today, create very beautiful works of art. They were very popular in the 19th century, but only the elite and very wealthy seem to of had access to them. The fact that they were too expensive to mass produce caused the prices to be very expensive. Modern engineering and ceramic coating has made the beauty and the heat retention qualities of the ceramic wood burning stove a luxury we can all consider in this modern age. Ceramic stack wood stoves are a very good example of modern engineering. They are called "ceramic” wood stoves, but are actually a very durable metal or steel, coated with ceramic. Ceramic stoves are some of the best on the market because they employ what is called radiant heating, much like the sun gives us. Ceramic retains and gives out consistent heat for a long time, even if the fire dies down and goes out. Black paved roads are a good example of heat retention from the sun. You will see the heat (in the form of a mist if there is moisture in the air) and feel the heat of the pavement even after the sun goes down. That is why animals often lay on the road for warmth at night time. This is the way ceramic surfaces work when exposed to the heat of the fire. Ceramic heaters, depending upon the amount of ceramic surface, can give out heat for as much as 36 hours after the fire has gone out. The larger the ceramic surface, the greater the heat retention and release. Ceramic is also very adaptable to quick temperature fluctuations. The ceramic absorbs heat from hot exhaust gases before they escape into the flue or chimney. 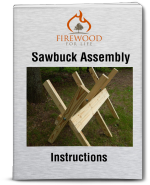 It works on pretty much the same principle as a soapstone wood stove. The fire in a ceramic fire box burns much hotter than it does in your traditional metal wood stove. The very hot conditions reduce emissions before they have a chance to escape. Ceramic as the overall outside material which gives off the heat for your home does take longer to heat up than steel or other conventional forms of metal, but it also stores and evenly releases the heat once it is gathered in a greater capacity. Many different materials fall under the category of ceramic. 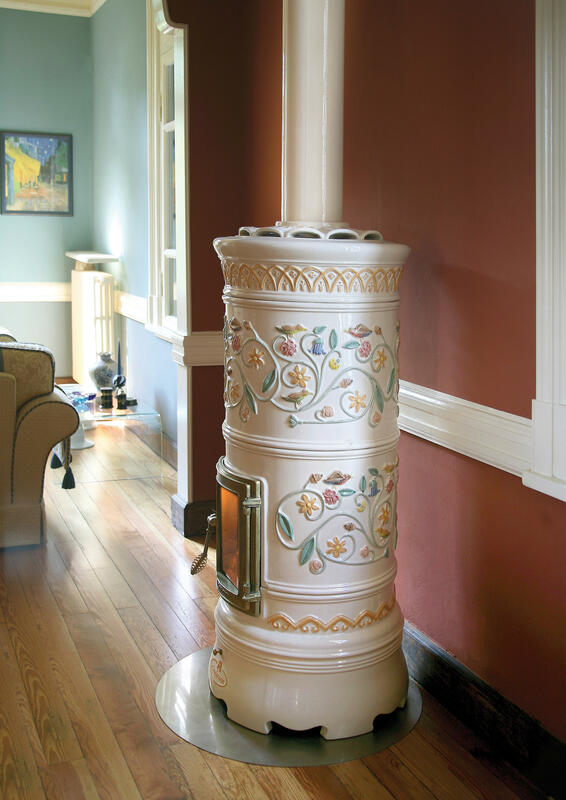 Porcelain is a ceramic material which is commonly used to describe certain wood burning stoves of today. Often metals such as cast iron will be porcelain coated with the same miracle ability of absorbing and releasing heat as products from nature tend to offer. Basically, “ceramic” and “porcelain” are the same product on today's market. Cookware is a good example of the sameness in quality. Lets take a look at a few models with these properties. 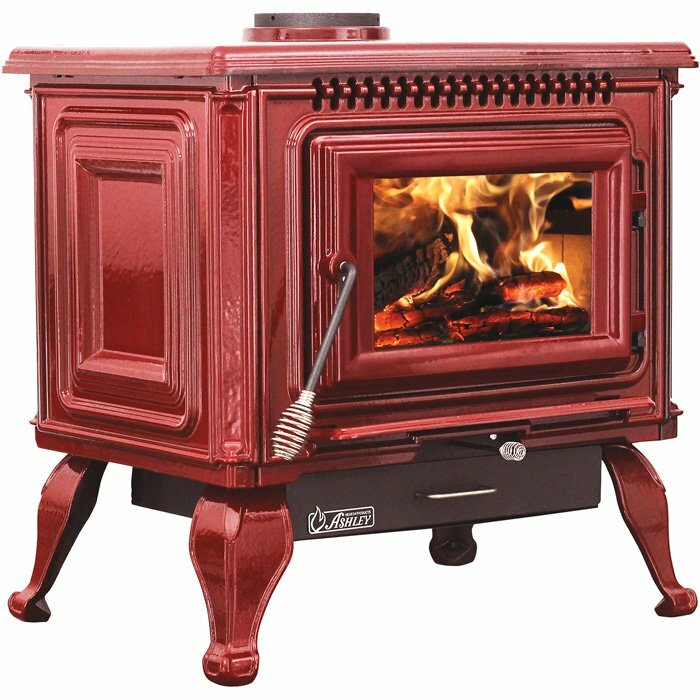 This very beautiful brilliant red ceramic coated wood stove made from fully welded steel is capable of heating up to 2,000 square feet. The viewing window is large and fits in perfectly with the French inspired curves and fluted columns of the overall design. The coating on this wood stove will hold and distribute heat much the same as other materials known exclusively for this, such as soapstone. The temperature of the fire is easy to maintain with the traditional and easy to use manual damper slide. The Ashley is a good looking stove with classical traits and it's very efficient as a heating source to serve your needs. The Rondo ceramic wood burning stove has been imitated by several companies, but the finest hails from La Castellamonte. These were launched in 2006. Words can barely express the beauty of its round tall cylinder type design, regardless of whether you choose the ambient images or the smooth sleek walls. The large surface area supports very efficient heat retention and radiation. Five different sizes are available for your ideal heating situation in a comfortable mode. The large viewing window only adds to the beauty of this stove. This ceramic coated wood stove recreates the beauty and images of classical design for what ceramic wood stoves in the past stood for. The ceramic coating comes in either a smooth tile or a rich ornamental tile of fantastic value in efficiency and aesthetic purpose. This environmentally approved stove comes with a “Great Fire Window” or a standard window. The choice is yours. They are both beautiful. The square shape of the Vienna, especially in the tallest size, only adds to the grandeur and vision of this fine stove. Plus, as a bonus its tall stature offers a large surface area for the ultimate in ceramic heating value. This beautiful stove would make a great addition to any home. Ceramic wood burning stoves get a high rating overall in design and efficiency. The secondary burn system in most are non-catalytic which is a double plus, requiring little maintenance. 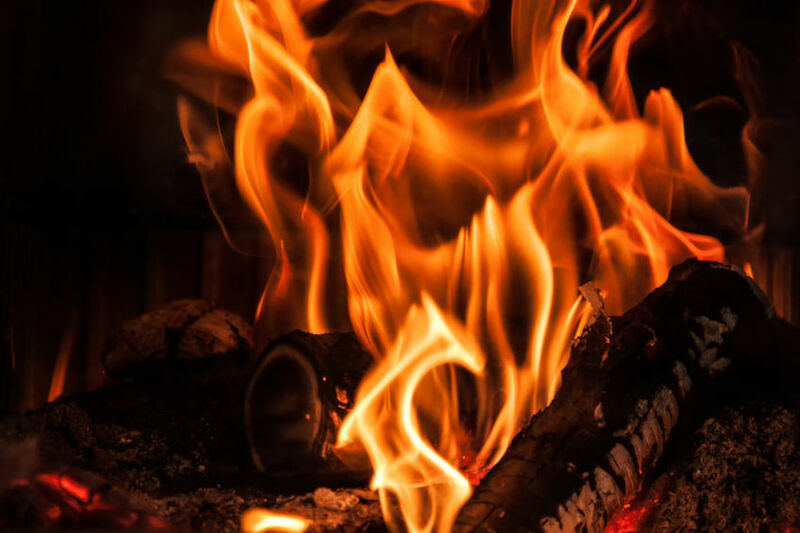 Very few problems are reported when it comes to ceramic wood stoves. Porcelain and ceramic can get “dings” (slight damage to the finish) from very rough handling, but it would most likely only add to the character. You can compare the finish on these wood stoves to that on a nice set of ceramic coated pots and pans, and you know how durable the finish is on them. They serve you for infinite years to come. The overall pricing is a little higher because they are “top-of-the-line” wood stoves. Ceramic wood stoves are comparative with soapstone wood stoves in the market today, definitely masterpieces and well worth the investment.